Are you interested in starting an online business? I love encouraging women to become work-from-home entrepreneurs! It's a fantastic way to share your passion with the world — all while creating a flexible schedule that's tailored your specific needs. And with the right tools in place, it's easy to develop a clear plan of action. Blogging for beginners is confusing, to say the least, so that's why I've rounded up my best free blogging resources to help you get started without having to spend any money. If you find these free ebooks helpful, please share this image on Pinterest. Do You Have What It Takes To Be A Blogger? Before taking the leap into full-time blogger, there's a simple way to find out if you're cut out to run a successful business from home. Take a blogging assessment quiz! This particular quiz is from the genius team behind Elite Blog Academy — the course that has generated some of the most successful bloggers in the world. How did you do? If you scored fairly well, then it's time to start thinking of what type of blog you'd like to create. You also need to begin doing the behind-the-scenes work to set yourself up for success right from the start! Below I've linked my favorite ebooks currently available from Elite Blog Academy as limited-time FREE downloads. They're listed in the order that I personally suggest you download and read them. Of course, you can read them in a different order if you're a rebel, but I prefer a logical progression when I'm setting a new action plan in place! Speaking of order, this very simple printable lays out the most straightforward roadmap to blogging success. It's the plan I used to get our blog in order and to create my own action plan for success — after floundering about aimlessly in the beginning. Way too many bloggers try to skip ahead and monetize before their site is ready, and then they're frustrated when they don't see results. Do it right — from the start — and save yourself the stress. This is a very quick read…more of an infographic…but it will give you an overview of what a proper blogging plan should look like. BLOGGING LEVEL: Total newbie. 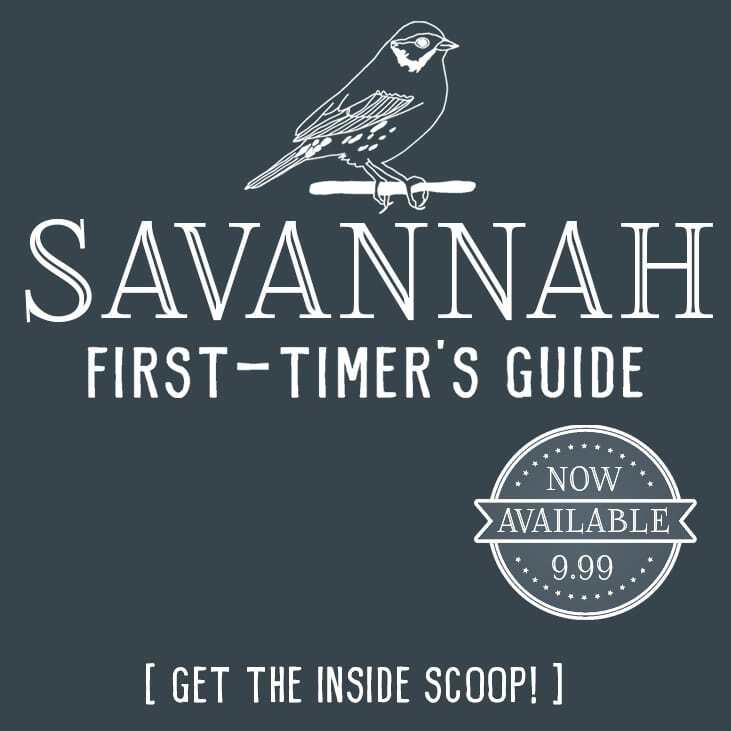 If you don't have a blog yet, that's absolutely perfect! The best place to start a blog is from the beginning. This guide will help you set it up properly from the get-go. In fact, I don't suggest that you even purchase a host for your blog until a few steps further down below! Hang on to your money for as long as you can. 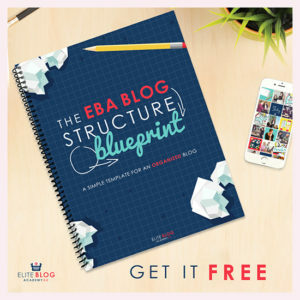 Providing a clear blog structure is critical so your readers can find exactly what they're looking for. This handy download will help you lay out the best structure for your site. This one is a quick read and includes a helpful visual that you can fill in. In fact, I just reviewed it and am seriously thinking of tweaking our categories every so slightly to make our blog even easier for new users to navigate. 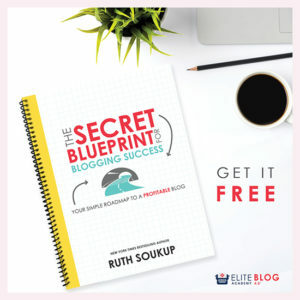 BLOGGING LEVEL: This ebook is really beneficial for ALL bloggers, at any level, but I find it most helpful if you check it out before you set up your blog or purchase hosting, because then you can feel confident that you set it up the right way from the beginning. 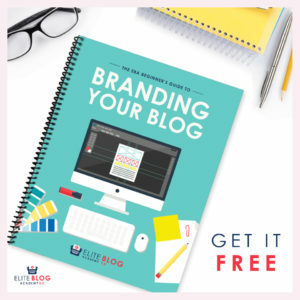 The next logical step after you've learned the basic outline for your blog, it to learn the basics of branding. Branding is when you decide what colors and fonts to use on your website. For example, it's possible you clicked on a pink graphic with an image of a girl with her hair in a messy bun to get to this post. That pale pink is one of our brand colors and the messy bun girl is part of our logo. We chose those items to represent our brand, because we want young girls to come to our blog for beauty and travel advice. Setting up your brand properly right from the start will be a HUGE timesaver down the road, because it will help you find your perfect audience with less effort on your part! BLOGGING LEVEL: Beginner! You don't need to know anything about blogging to start figuring out your brand. In fact, it's really helpful if you figure this stuff out BEFORE you start designing logos and setting up your site to save yourself from having to redo things later on! Once you have a blog set up, you'll want to get an editorial calendar in place. Readers will expect to see regular content on your site! 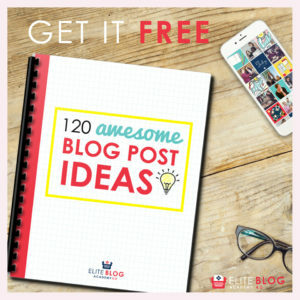 This ebook provides exactly what it says…120 incredible topic ideas to help you connect with your readers. I've used it to come up with at least half the posts on this blog, and even wrote a blog post about how it's helped me. BLOGGING LEVEL: Beginner! Figuring out what you're going to write about is so helpful to learn BEFORE you start your blog. In fact, I'll give you 1000 bonus points (Ha! You thought I was going to say dollars, didn't you?! I'm not that rich from blogging. *Yet. *) if you write 10 blog posts before you set up your blog. Trust me, you'll thank me for this tip later on! Once you've done ALL of the above, you're ready to take your first official “money-spending” step as a blogger by purchasing your domain name and setting up a hosting site. FYI: A lot of bloggers recommend Bluehost for hosting, but I do not. They cause a lot of problems for many bloggers, so be sure to do some serious research first if you plan to go with them. The beginner hosting platform I recommend over Bluehost is Siteground. The in-depth (free) WordPress set-up course I recommend is by iMark Interactive. BLOGGING LEVEL: Beginner. 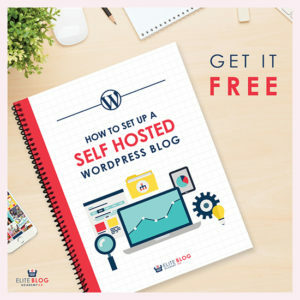 Well, it took long enough, but if you followed each of the previous steps, then you're truly ready to take the leap and purchase hosting, then set up your blog the RIGHT way. Guest posting is an incredible opportunity for any blogger – new or seasoned. If you write an extraordinarily helpful post and share it on another blogger's site, it has the potential to attract new readers to your blog! 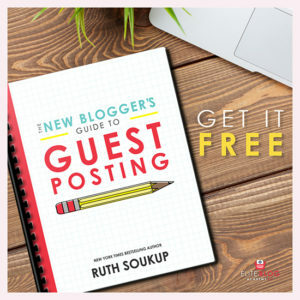 Guest posting also affords you the opportunity to connect with others in your niche. That support may be invaluable as your business grows — particularly if you plan to launch a product someday. BLOGGING LEVEL: Beginner to intermediate. The earlier you make it a habit to begin guest posting on other well-known bloggers' websites, the faster your road to success will be. When you post on their site, they'll link back to your site, and that will help your blog get discovered more easily by other readers and by Google (via something called Search Engine Optimization, or SEO). If you're one of the lucky ones who has a post or video go viral, it can happen at a moment's notice. You need to act quickly in order to maximize profits and build lasting momentum! You could be missing out on opportunity every second you wait. BLOGGER LEVEL: Intermediate to Advanced. 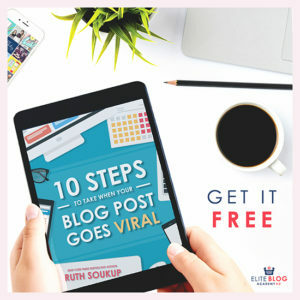 Look, I'd love to tell you your blog post is going to go viral right out of the gate, but there are so many people competing in the blogging arena these days that it's getting harder and harder to hit a home run. It takes work to go viral…or lottery-like luck. Read this free download, though, so you'll know exactly what to do when it happens. Once you've been blogging for a while, you may lose focus. No worries! It's actually pretty common. In fact, a few months into blogging is where most bloggers tend to get distracted and become obsessed with traffic stats. You'll be happy to know that reaching huge traffic numbers should NOT be your top priority. 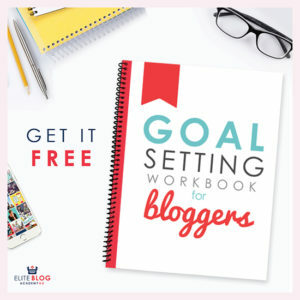 The Goal Setting Workbook helps bring your focus back to where it should be (not on vanity metrics). It allows you to work smarter, not harder! BLOGGING LEVEL: Intermediate. This one is invaluable for helping you divide up all the daily blogging tasks and then figure out which ones are most important to long-term success, so you can better determine where to focus your time and energy. Once you have your priorities in order, it's time to set your blog up to become a profitable business. This helpful guide teaches you how to earn money from the audience you already have…no matter how small. 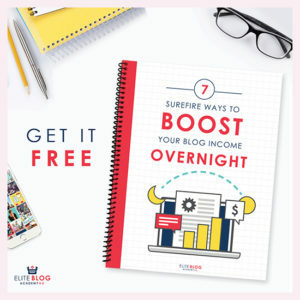 You'll learn various ways to bring in money through affiliate links, private advertising, and by utilizing your newly honed blogging skills to assist others who haven't reached yet your level. I firmly believe one of the best things you can do to improve your blog is to continually seek out new learning opportunities. I make a point to set aside a certain percentage of blog earnings every single month that I only use towards classes to further this blog's growth. Always invest in yourself! BLOGGING LEVEL: Intermediate. This one isn't closer to the beginning of the list because I firmly believe you need to focus on setting up the basics of your blog first — and do it properly — before you even think about earning money. Blogging is not a get-rich-quick scheme, and you need to have a good foundation in order to qualify for ads on your site or to develop your own product to sell. Don't get blinded by dollar signs! Here's the thing about bad habits…they CAN be broken! You just need to realize you're doing them and stop sabotaging your own success. 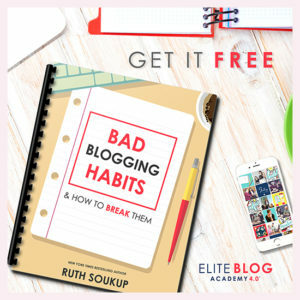 After you've been blogging a while, it's likely a few bad habits will set in. This ebook will help you recognize them and then move past them — on to a successful future! BLOGGING LEVEL: Intermediate. It'll take you a while to develop bad habits, but it's important to self-evaluate after a year or two and figure out how you can take steps to improve. Well, there you have it! Blogging for beginners doesn't have to be so difficult after all. These free resources should help you organize your site's structure, plan for success, set goals, learn how to monetize, and then break any bad habits you develop along the way. 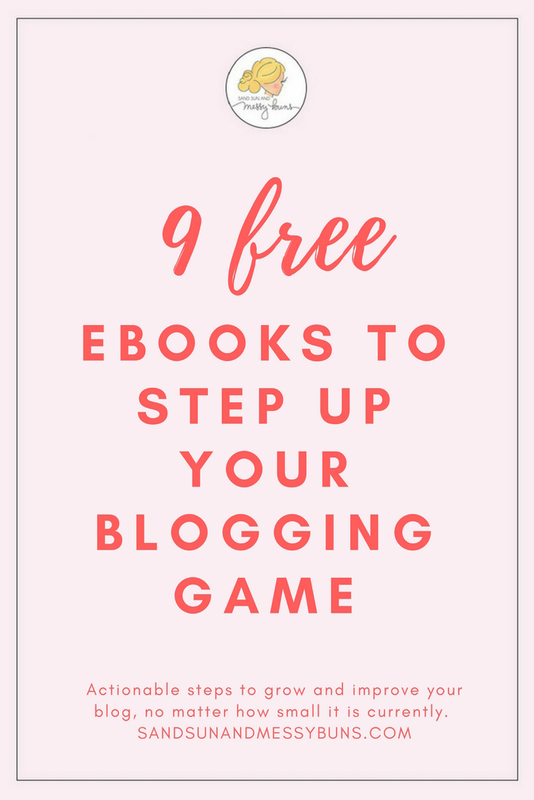 What a great library of free resources for bloggers! I can hardly wait to dive into each one and expand my knowledge. Thanks so much for sharing your expertise! Whoooohooo! I think you signed up for my email list instead of grabbing your free downloads, but no worries! I got you covered. 🙂 I just emailed the links your way so you can download each one (or all of them). Happy blogging!